This post was originally planned for the 2nd of August but - since I hadn't yet taken the photos and I was out of the country - I had to be home before I could write it. 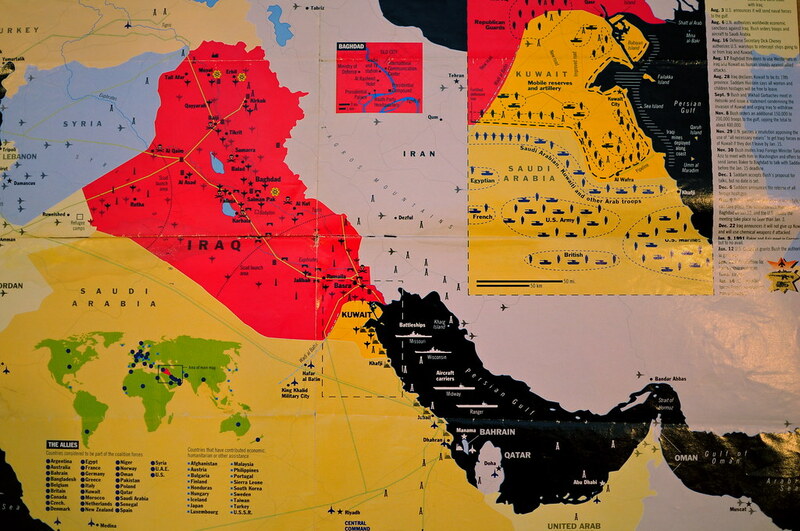 Around this time last year, I saw my 'collection' from 1990/91 and I decided then that I would post it this year: the twentieth anniversary of Iraq's invasion of Kuwait. 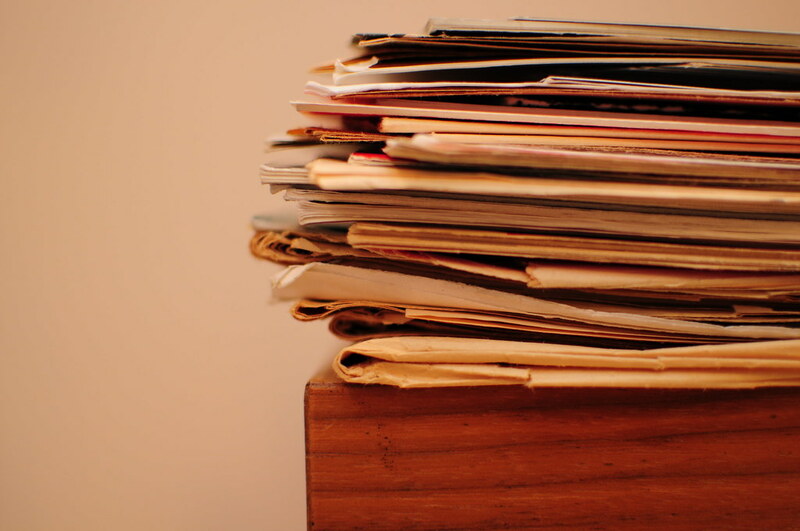 I was just under sixteen years old when I collected these documents. We were living in London at the time, my father was doing his research at a London University. I still remember the day of the invasion. I woke up hearing the news on the TV, and it was too early in the morning for TV to be on in the first place. 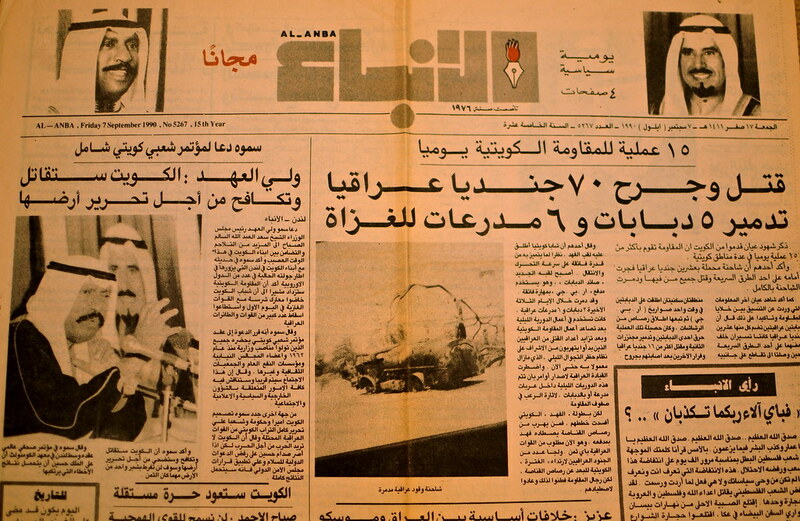 It was the weather and I wondered what was going on... when my father told me that Kuwait was 'gone!' and that 'we're praying for her return'. I didn't understand how a place could go... Where to? How? 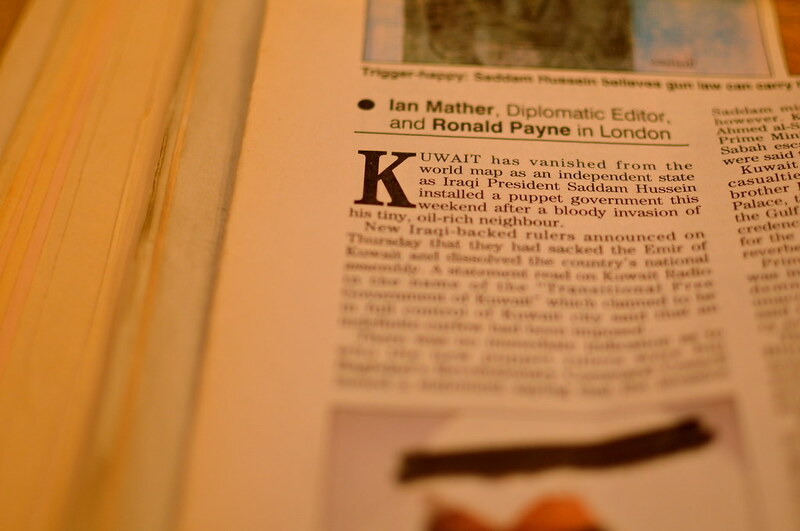 It wasn't until I read these very words 'Kuwait has vanished from the world map...' that fear took over. It was like loosing a loved-one. We remained in London throughout the period. Boys and girls from my age group were giving out 'Free Kuwait' badges and brochures. I still remember my black 'Free Kuwait' jumper which later became a long-term pyjama-top for many years. There were weekly planned marches to Trafalgar Square, arguments in Hyde Park Corner, discussions in school... and much much more. I also remember how we suddenly saw many publications from different people and organisations. The first one that comes to mind Sout Al Kuwait and a version of Al Anbaa daily. Soon after we saw many others. I have no idea why, but I started collecting them. The highlight of the evening was a slot on a radio programme (on Spectrum Radio), where a familiar Kuwaiti voice read the news from back home. They even played the Kuwait Radio news music. This beautiful postcard and the map below decorated my bedroom wall for throughout the invasion. Actually the postcard was added in November 1990. I picked it up at a huge gathering in Porchester Centre in West 2 - on the three month anniversary of the invasion. I loved the colour and simplicity of the message. Simplicity with so much power. I can't believe these have been with me for twenty years - especially when I think of how many times I've moved since 1990. I stopped counting at ten! Some of the maps - especially those by the Sunday Times and Time Magazine - were fantastic. They showed the enemy positions and the locations of the allied forces. They even made a side-by-side comparison of the weapons and arsenal of the two armies. Funny how history repeats the same words again and again... We still hear Iraq and Oil in the same sentence today! The 100-hour war refers to the land invasion. Again, I remember where I was the wonderful day of Kuwait's liberation when I saw the headline on the Evening Standard: Kuwait is Free. My collection includes newspaper and mazagine cuttings, maps, photos (none of which are mine) and a couple of books published within weeks of Kuwait's liberation. These images are photos of what I've kept. I do not have permission to publish them, I just wanted to share them on this opportunity. i think its the coolest thing in the world that u have these! My friend thank you, thank you very much for bring back good memories! Kuwait is worth fighting for and we all love our country! These articles showed the anger and the hope we had. I was young at the time and when they got us out we got enrolled in ICC, International Community College in London, I remember taking the Bus and coming home and watching BBC and CNN, Please do keep all the articles and scan them to PDF when you have a chance! I was there too.. I was 14.. I remember the marches.. i remember when we were handing out papers at Train stations.. I remember a lot of things.. like it was yesterday and I am proud of the simple things we did together as kuwaitis there.. Very nice collections.. we should be reminded every year of this.. its something we should NEVER forget! A musium would be an answer. Thanks for sharing those with us Bu Yousef.